After a good 3 years of kicking, screaming, and just stubborn resistance in general, I’ve finally given in and joined the Instagram bandwagon. And as much as it pains me to say it, I was definitely missing out – I now have all the food photos my greedy eyes can handle, and a portable way of sharing every meal I ever have. To top that off, Instagram is also a great way to discover new and exciting restaurants, and one that’s popped up on my feed repeatedly is Son In Law. I never knew this, but the dish of son-in-law eggs is actually traditionally a thinly veiled threat from a mother in law to her new son-in-law. As in, I’ll have your bits on a platter – like these eggs – if you don’t treat my daughter well! Yeowch! 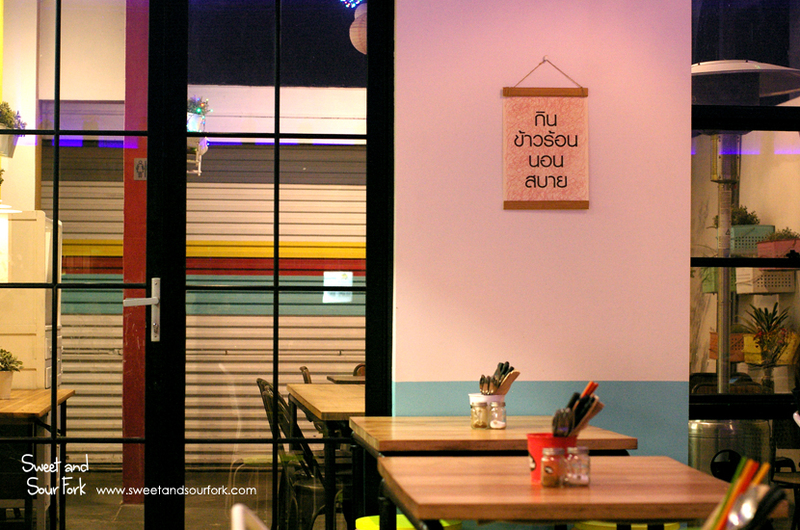 Like its name, the restaurant itself is snappy and feisty, full of bright colours and bold prints. Equally as intriguing was the menu, which despite being succinct, offered plenty to tempt thanks to its modern twists on classic dishes. I especially liked the sections titled Mum’s Classic Recipes and Son-In-Law’s Fusion Recipes. 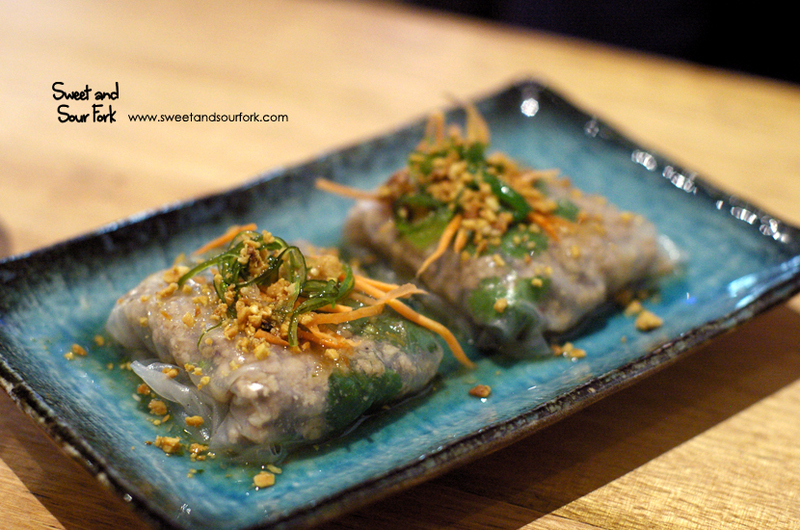 The meal was started with a serve of Minced Pork and Prawn Rice Paper ($8, 2pcs). These were yummy little parcels, the translucent rice paper wrapped around a filling of meat and herbs in tamarind dressing. Although nothing to write home about – especially considering the lack of prawns in the filling – they made for a good appetiser. 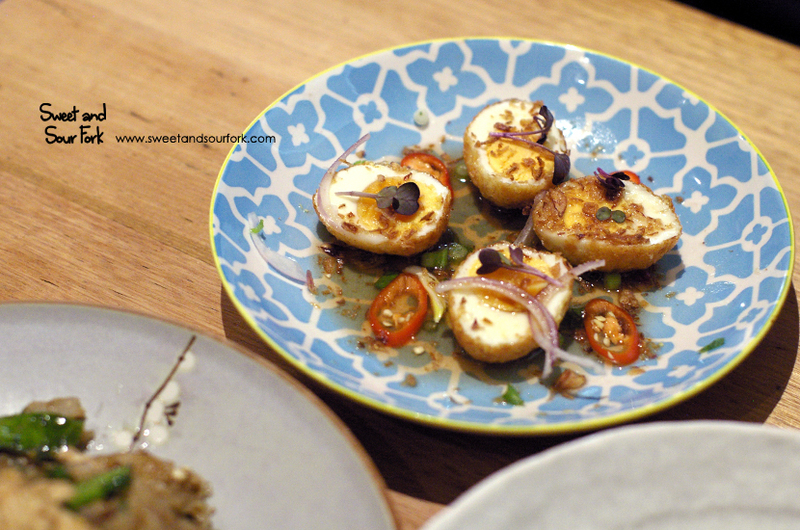 I had expected great things from the Son In Law Eggs ($8, 2pcs), being the titular dish of the restaurant and all, but I was sorely disappointed. Instead of gooey yolks and punchy dressing, the eggs were over-boiled, and the tamarind sauce much too thin and mild to impart much flavour to the eggs. I can definitely think of better things to do with 8 dollars. 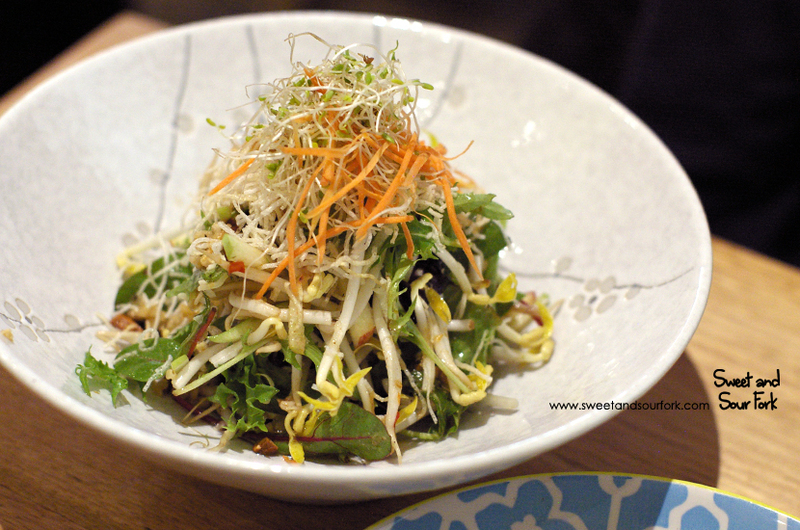 The Sweet Crunchy Tamarind Salad ($9) was somewhat of an improvement. Although the combination of vegetables, herbs, and toasted rice is unexciting, the crunch and freshness is good any day of the week. And I was impressed by the heat imparted by the fresh red chillies. 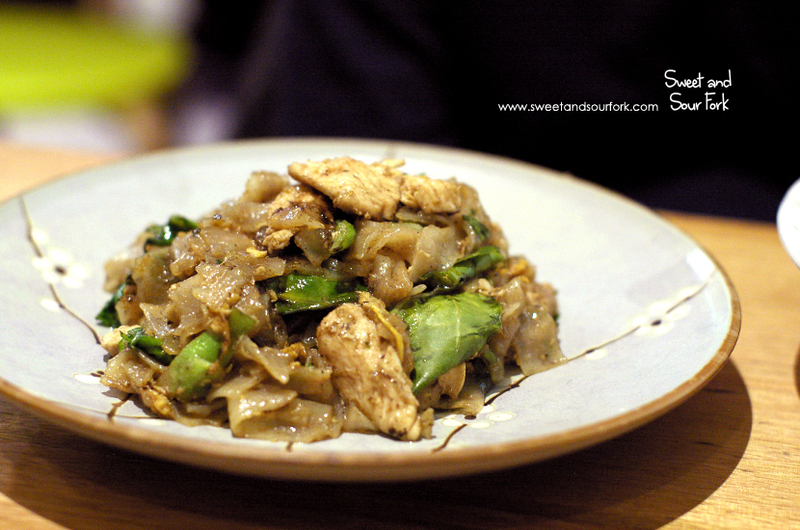 We finished our meal with a tasty, but pedestrian order of Pad See Ew ($15). The noodles were a highlight with their silken chewiness, and the entire dish was blessed with a fragrant smokiness. 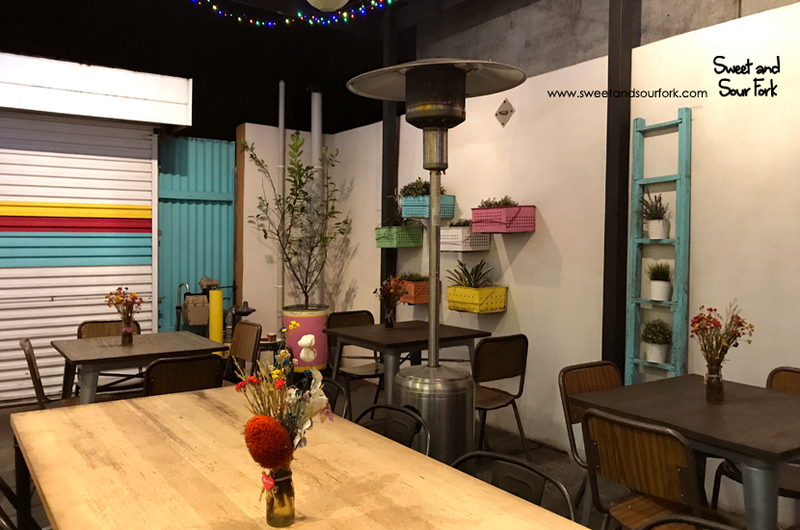 I was initially planning on having dessert at Son In Law, but after the very average meal, decided instead to head down the road to Gelato Messina. Despite the attractive packaging Son In Law came in, I thought the flavours were much too genteel for it to be able to call itself good Thai food. I guess social media can be super misleading after all.